Harris Tweed is a beautiful, intricate luxury fabric famed for its unique quality and heritage. It is woven from pure virgin wools, principally taken from flocks reared on the Scottish mainland. 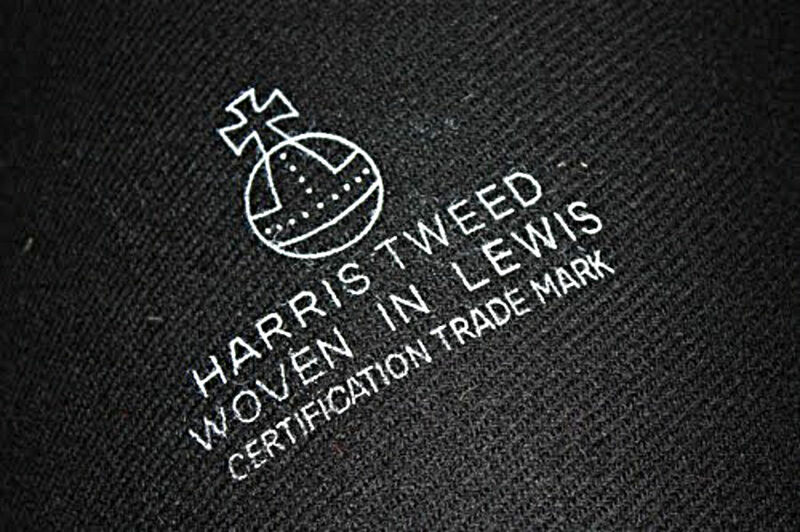 All Harris Tweed is inspected and certified by the Harris Tweed Authority, and stamped for authenticity with the Orb logo. The official definition of Harris Tweed is "Handwoven by the islanders at their homes in the Outer Hebrides, finished in the Outer Hebrides, and made from pure virgin wool dyed and spun in the Outer Hebrides". The unique process used to manufacture Harris Tweed ensures it remains one of the most sought-after fabrics in the World, which is understandable when you appreciate the attention to detail that is lavished upon this fine cloth. Unlike the vast majority of fabrics, Harris Tweed is hand made from start to finish. Every length of Harris Tweed must be certified by the Harris Tweed Authority in order to carry the authentic 'Orb' trademark. Harris Tweed is made from virgin wool dyed and spun in the Outer Hebrides. Because it is the wool which is dyed, rather than the yarn, Harris Tweed can carry especially vibrant colours which last the test of time. In order to produce Harris Tweed of a particular shade, many different coloured wools are shredded and mixed together, refined and spun into yarn. Look closely at any Harris Tweed garment, and you will see that the hue is made up of many different colours, expertly blended together in this way. This is one of the most enthralling characteristics of Harris Tweed - the depth of texture and colour simply cannot be matched by other fabrics. Once the yarn is prepared and 'warped' into a group of threads, it can be woven into the beautiful patterns you see in our jackets. By statutory Act of Parliament, the weaving of Harris Tweed may only be done by hand, within the homes of islanders on the Outer Hebrides. Much of our tweed is woven by Donald John Mackay MBE, just down the road in Luskentyre. In 2012, Donald John's contribution to the Harris Tweed industry was recognised by the Queen, and he was appointed MBE for his services to Harris Tweed. 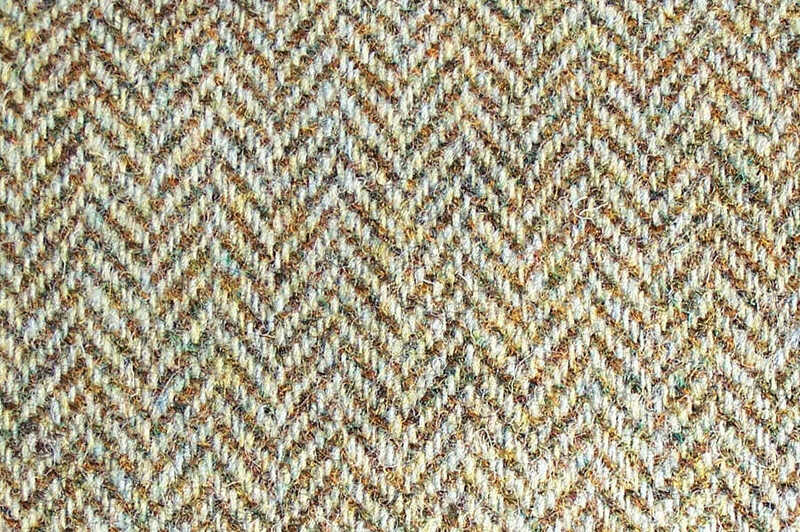 Above, the wide array of colours used to create this beautiful featherweight herringbone Harris Tweed can clearly be seen. The iconic and sought after Harris Tweed authenticity stamp.